Venue: KPMG, Collaboration and Lounge Area, 8/F Princes Building, Central. Join Irene Lee and Patrick Cheung from KPMG GBA Team, as they will provide an update of the post 2018 legislation development of transfer pricing in Hong Kong. Venue: Abbey Room; Frites Central; The Wellington, 1/F, No. 198 Wellington Street, Central. The Austcham Young Executive Committee is pleased to present another session of the AustCham MGSM CEO Forum series, featuring Glenn Cooper AM, Chairman of Coopers Brewery. The boundaries between business and politics have never been more blurred than they are today. Venue: Frites - The Wellington 1/F, No 198 Wellington Street, Central. Australia - Hong Kong Free Trade Agreement (FTA) was formally signed in Sydney today (26 March), marking a significant milestone in our mutual trade and investment relationship. 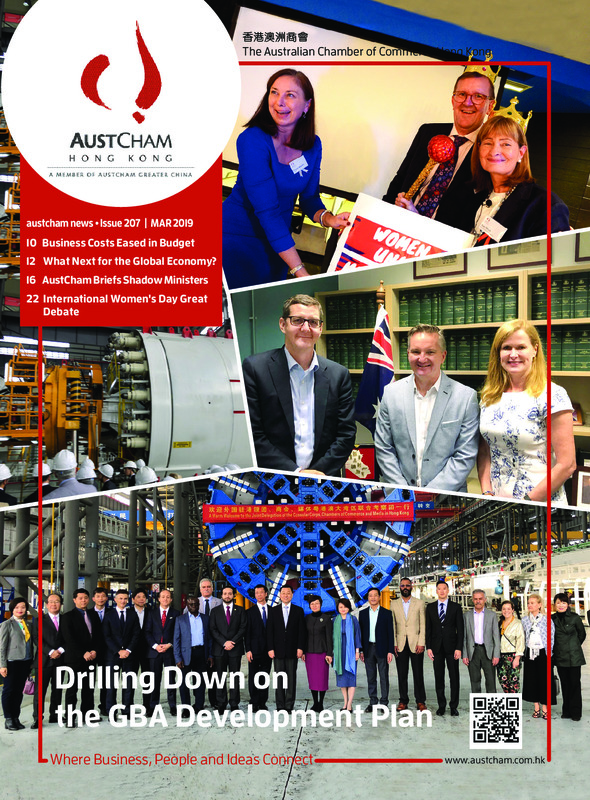 The Australian Chamber of Commerce in Hong Kong welcomes the Outline Development Plan for the Greater Bay Area announced last night and acknowledges the significant role that Hong Kong can play within the GBA. The Chamber is a platform for supporting member business development and for connection or networking opportunities. Apart from this general support we develop new business services, offer business matching and event management services, as well as the hire of a meeting/training room in the heart of Hong Kong. The Chamber offers an end-to-end event management service which we believe is one of the most cost effective options for staging your own seminar, company introductory or learning session in Hong Kong. 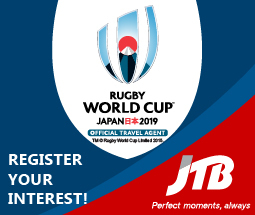 With a rotation of Professional Development, Executive Sharing and Social Events, the programme is tailored to create a learning and sharing environment matched with the opportunity for networking with Hong Kong’s most celebrated executives. The AustCham Business Centre (ABC) is a centrally located space leased by the Chamber on Wellington Street. It is ideal for meetings, seminars, training sessions, presentations, team lunches and more. 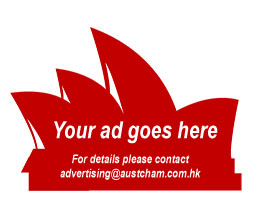 Advertise with the AustCham promotional platforms to expand and reach potential clients.